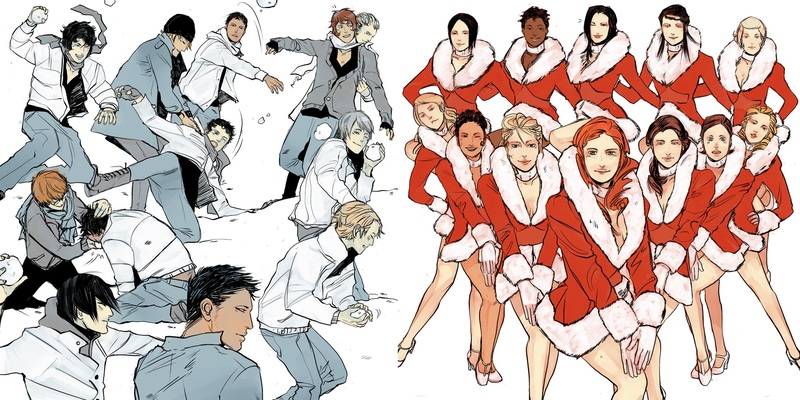 Have yourself a Merry Shadowhunter Christmas/holiday! We’ve got three weeks until Christmas and sometimes finding great gifts for family and friends or also yourself can be pretty tough. That’s why we have come up with the ultimate Shadowhunter Christmas wishlist that includes books (duh! ), jewelry, tarot cards and more! Remember that the first ebook from Tales from the Shadowhunter Academy will be released in February 2015, so an ebook gift card would be a nice present as well! 4 Comments on Have yourself a Merry Shadowhunter Christmas/holiday! The tarot cards are $150!!! I wish had that money!!! That’s for the deluxe edition. I had the same response. The ones in the bag are $20 + tax. The tarot deck is absolutely beautiful. I wish…. Santa, if your listening? I might have died when I saw that $150 price tag. Then, on the golden wings of Raziel, I was resurrected in time to see the $20 regular edition price. Must… have… Shadowhunter tarot cards!! !